(Bloomberg) -- Bank of Montreal has signed a 15-year lease for six floors at 151 W. 42nd St., the Times Square skyscraper that used to house publishing company Conde Nast. The Canadian bank’s capital-markets division will take over 215,056 square feet (19,979 square meters) of the 1.8 million-square-foot property, according to a statement Wednesday from BMO and the Durst Organization, the building’s owner. The bank’s lease is set to expire soon at its current office across the street at 3 Times Square. 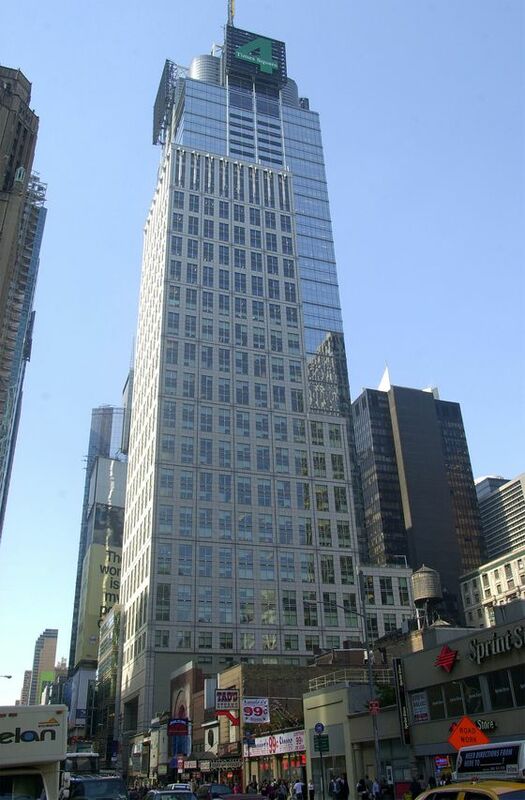 BMO plans to set up its trading floor on the ninth story, then will expand to floors 29 through 33, after law firm Skadden, Arps, Slate, Meagher & Flom LLP departs for Manhattan’s Hudson Yards area next year. The bank will become the largest tenant in the skyscraper, which was built in 1999 and was previously known as 4 Times Square. Durst has been working to fill the hole left by Conde Nast after the media giant moved its headquarters downtown to One World Trade Center in 2014. The developer has spent $130 million on building upgrades, and recently signed leases with Nasdaq Inc., financial technology company SS&C Technologies Holdings Inc. and accounting firm RSM US LLP. Once BMO moves in, 17 of the 19 former Conde Nast floors will be filled. The asking rent in the building was $105 a square foot for the bank’s upper floors and $85 for the lower portion, Bow said. That compares with rent in the $50-a-square-foot range that Conde Nast had been paying.